The Olympics started centuries ago, in Greece, as a way to bring all the cities together and showcase the abilities of their athletes, the principles are still the same, but the Olympics have now traveled the world and added more sports. Between 1912 and 1952, it even added the arts to it. But the idea was dropped because artists were considered to be professionals, while Olympic athletes were required to be amateurs. Angel Orensanz certainly is a professional, and he wants to be part of the biggest event of the year. 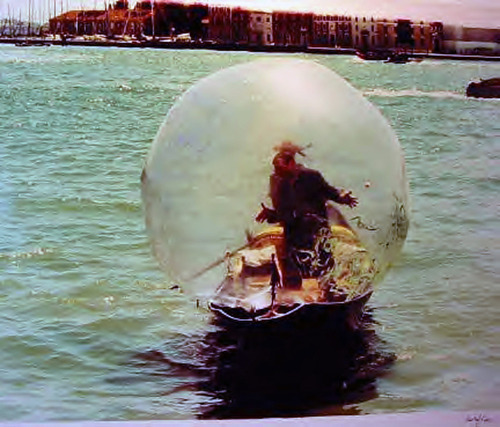 He is presenting the worldly travelled piece “Cosmology”, his transparent (but always painted accordingly to the situation) giant sphere in a site-specific performance on the day of the opening ceremony of the Summer Olympics of 2012, informally known as London 2012. The performance will occur on the Hundred Years Gallery, in London. The sphere is the signature of the internationally known Spanish artist. And can be seen in a lot of his performances, in fact, performances that are often related to world events ( no wonder he wants to be part of the Olympic games, the biggest happening of the year). Since the 90´s he has been involved with the political and cultural happenings around the world, in a series of exhibitions that are both a part of himself and a reflection of universal emotions. 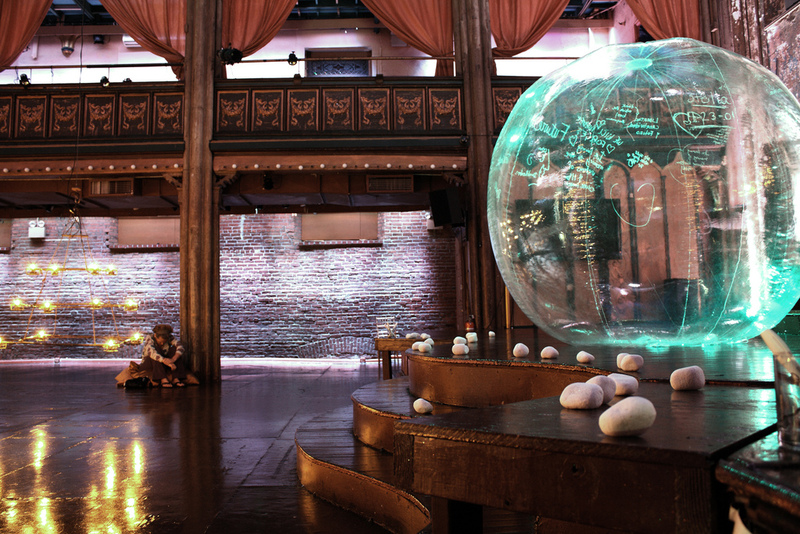 Most of this works manage to include his sphere, a half-transparent, man-sized, partially painted ball that Angel Orensanz pushes, pulls, suspends, raises, lowers o simply appears with at various venues around a little larger sphere known as globe.